Looking for a local support service? Try our service finder. Encourage your loved one to complete a confidential self-assessment. Online counselling — get started. Got a quick question? Send us an email. Our professional counsellors work with all people affected by someone else’s alcohol and drugs use, including partners, family members and friends. Expect our counsellors to ask more about you and your circumstances. We need to know about both your loved one’s problems as well as how they are affecting your life. We’ll work through your issues with you, give you advice on how to cope with your situation, and discuss with you what your next steps might be. DirectLine can connect you with a range of services across Victoria, including peer support groups, face-to-face and group counselling specifically for people affected by another’s alcohol or drug use. Our counsellors provide non-judgemental support and advice for people who are affected by a loved one’s alcohol or drug problem. We can also direct you to current treatment options available for you and your loved one. Be informed about your loved one’s alcohol or drug use – the signs, symptoms and how it might be affecting their behaviour. We can provide you with information about the problems they’re facing and let you know which treatment options are available. Admitting that there is a problem can be difficult for you, not just the person using alcohol or drugs. It’s important you communicate openly, trying to remain as non-judgmental as possible. This can be very difficult so speaking to a counsellor yourself first can help. Don’t forget to look after yourself. It’s common for people to focus on the person with the problem, but don’t forget that the stress of coping can also affect your physical and mental wellbeing. Speak to a counsellor or contact a local service for support. 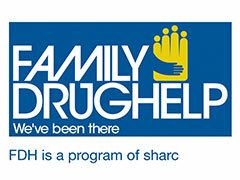 Family Drug Help Family Drug Help provides a specialist service to support family members and friends who are concerned about a loved one’s alcohol and other drug use. 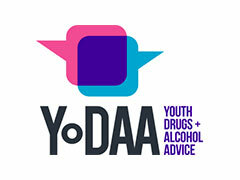 YoDAA YoDAA is Victoria's Youth Drug and Alcohol Advice service. YoDAA provides the simplest way to access information and support about youth AOD needs. 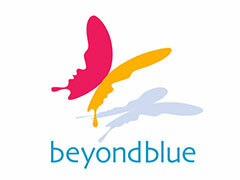 beyondblue beyondblue provide information on depression, anxiety and related disorders, available treatments and referrals to relevant services. Alcohol and Drug Foundation The Alcohol and Drug Foundation offers educational information, drug and alcohol prevention programs and advocating for strong and healthy communities. 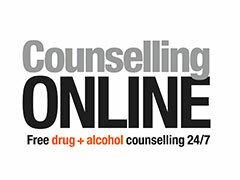 Counselling Online Counselling Online provides free 24/7 online counselling, information and self-help tools for people affected by alcohol and drugs. Gambling Help Online Free, anonymous, 24/7 online support, self-help tools and information for identifying and dealing with problem gambling in Australia. Just Ask Us Just Ask Us is a portal for tertiary students to seek help and information about mental health, alcohol and other drug problems. 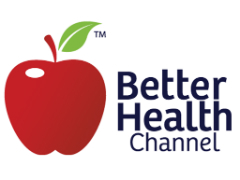 Better Health Channel The Better Health Channel provides health and medical information that is quality assured, reliable, up to date, easy to understand, regularly reviewed and locally relevant.